Another suspect related to the Kudawella shooting incident on the 25th December last year has been arrested this morning (21) at Galagama area in Beliatta. Interrogations of another arrested suspect with regard to the incident had led to the discovery of the motorcycle used for the crime, in a coconut plantation. The two helmets used with the motorcycle, too, have been found burnt and samples have been sent to the Government Analyst’s Department for further investigations. The suspect who was arrested today is a 31-year-old male from Hinguruwella, Galagama North, according to the Police. He will be presented before the Tangalle Magistrate’s Court tomorrow (22). Meanwhile, Tangalle Police will conduct further investigations. 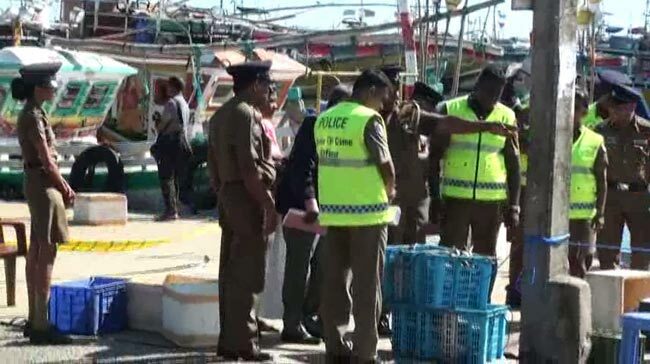 Four persons died while another 8 sustained injuries in the shooting incident at the Kudawella fisheries harbor, on December 25, 2018.